More nursing homes are realizing the benefits of having vending machines to dispense food and drinks to employees, patients and visitors. 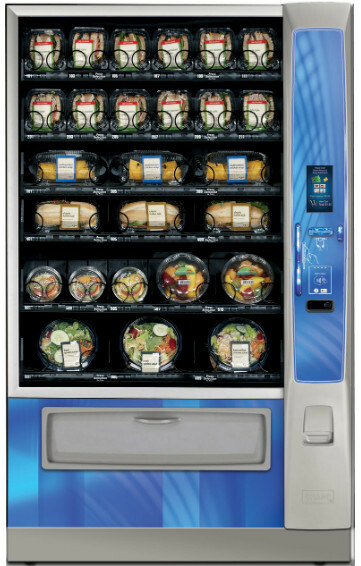 It cuts food and labor costs and provides commissions based on the vending machine sales. The best part is that care homes decide what kinds of products they would like to sell, and we provide them at the lowest price possible. Many nursing home residents heavily rely on vending machines for items widely considered to be basic necessities. In many cases, this is the only way that residents can obtain for things like snacks, toiletries or in some cases new clothes. 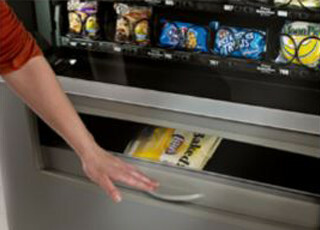 Intelligent Foods On Demand is the leader when it comes to unique Vending Platforms for items of any shape and size. See our vending machine types. Our care home and nursing home customers appreciate our 24/7 fast track service guarantee. We understand the importance of keeping your vending machines operational when your staff are working round the clock. So we keep your vending machines restocked, cleaned and serviced so that your staff can get a drink or a snack whenever they need it. From organic soft drinks and juices to gluten free and vegan snacks, your staff will appreciate our wide range of healthy products at competitive pricing. Our free vending machine service takes care of everything at zero cost to you, all backed by our 24/7 fast track service guarantee. Whether you need to ensure you are providing the healthiest product on the market or want to minimize staff absence from the premises, our vending machines are the perfect answer. Intelligent Foods on Demand provides the complete turnkey solution – Vending machines, supplies, installation, restocking and servicing is provided all completely free of charge. All payment options – coins and bills, debit and credit cards, Apple Pay, Google Wallet and contactless payments.